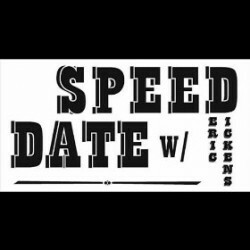 Drummer Deric Dickens’ debut CD is Speed Date, a series of duets with Matt Wilson, Ben Cohen, Jon Crowley, Kirk Knuffke, Jeff Lederer and Jeremy Udden. In this interview, Dickens talks about the DIY philosophy underlying the album; the sound of the drums (including a demonstration on the ride cymbal); and why he left a comfortable position as a band director to pursue a life as a professional jazz musician. Learn more at dericdickens.com and follow him on Twitter at @dericdickens.